Braces are now in the past and it is a blessing to own a perfectly straight line of teeth! Introducing a very special black toothpaste by Curaprox called "Black is white", it contains activated carbon and fluoride. This toothpaste polishes the surfaces of the teeth until they're nicely smooth, removes discolouration and whitens the teeth. It is nice to brush using a black toothpaste for a change! 1. 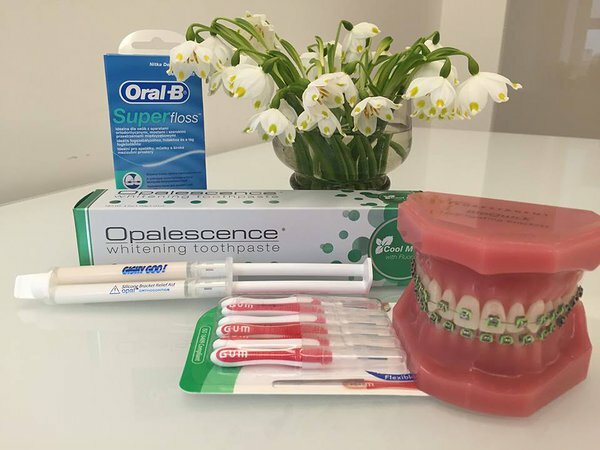 Toothpaste by Opalescence containing fluoride, which gently removes dark spots on the enamel and whitens the teeth. 2. Superfloss from Oral-B that has a waxed ending and allows easy access between the teeth. Can also be used when wearing a retainer. 3. 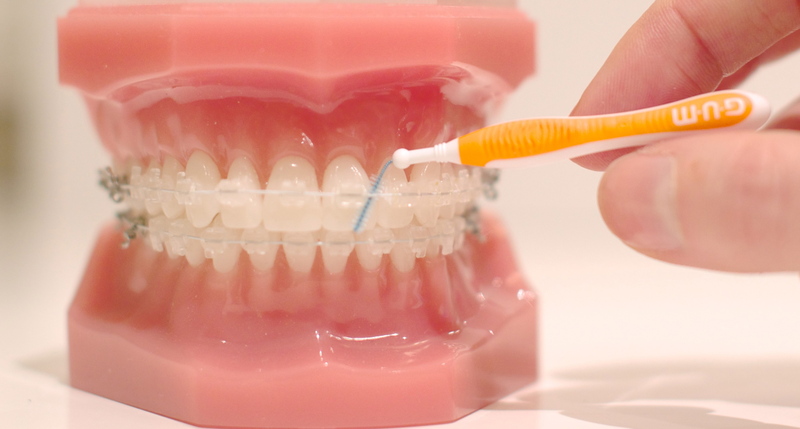 Interdental brushes soaked in chlorhexidine, which are used to clean the braces. 4. A material similar to silicone called Gishi Goo, which is used to cover the braces to prevent rubbing. 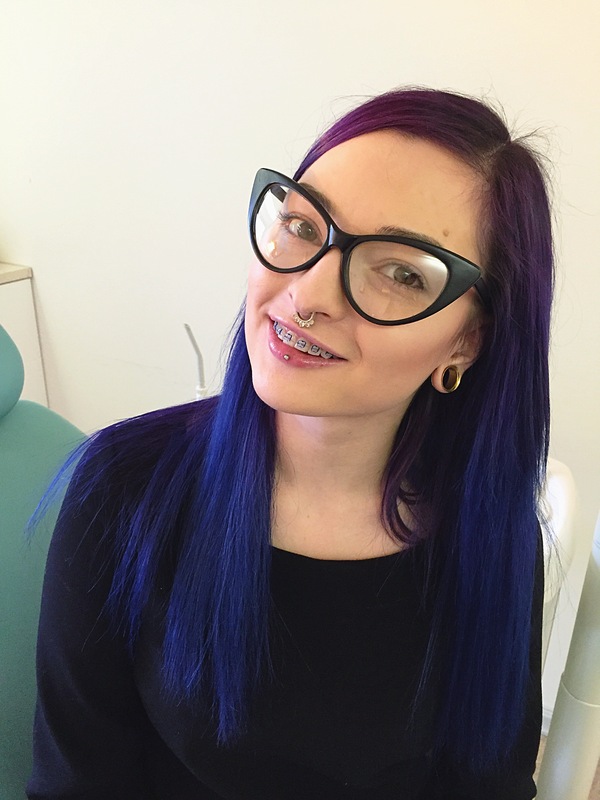 Today a patient asked for blue ligatures for her braces. It is wonderful when people are not ashamed of their braces! Research has shown that people who have had orthodontic treatment are less likely to experience depression and their blood pressure level is also in order. The cause is simple, people are more eager to smile with straight teeth and the "happiness hormones" caused by that are the reason behind a good mood and the feeling of peace. The treatment lasted two and a half years. 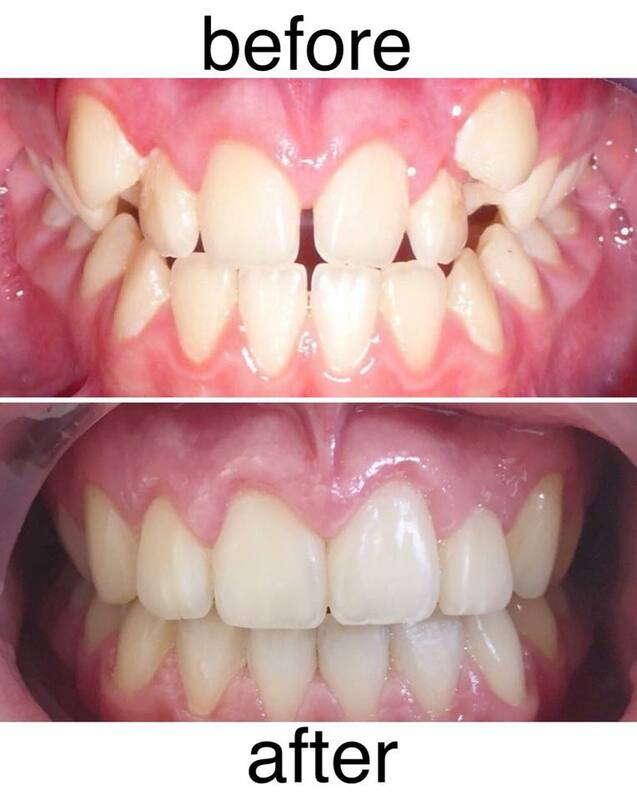 At first, it was difficult to teach the patient how to correctly take care of dental hygiene, but the end result is simply amazing. The braces were activated and corrected after every 5-6 weeks. The braces were bitten open four times due to some carelessness. Hard to eat food should be avoided when wearing braces. For example, apples and carrots should be cut into smaller pieces. Registration for consultation for new patients will start on the 27th of July on the phone 64 61 493. Have a nice summer! Good news! This weekend will hold a fair called Beauty Word. You are welcome to come visit us in the box number 41. Dr. Reet Karelson will answer general questions about Breketravi. After wearing braces, the teeth will be aligned and Your smile will be more beautiful. 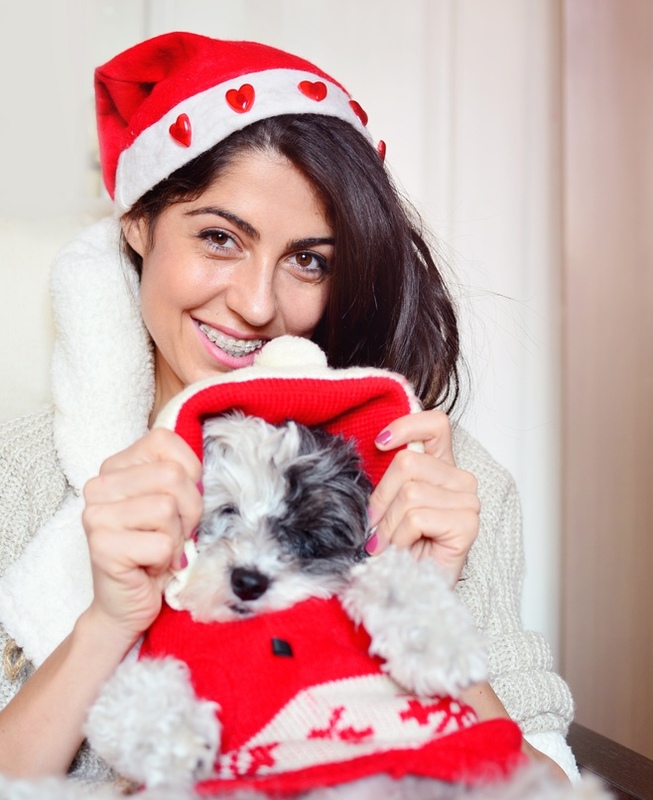 For easier cases, the orthodontic treatment will last for one year. Why be ashamed of braces when they straighten your teeth and make your smile prettier? 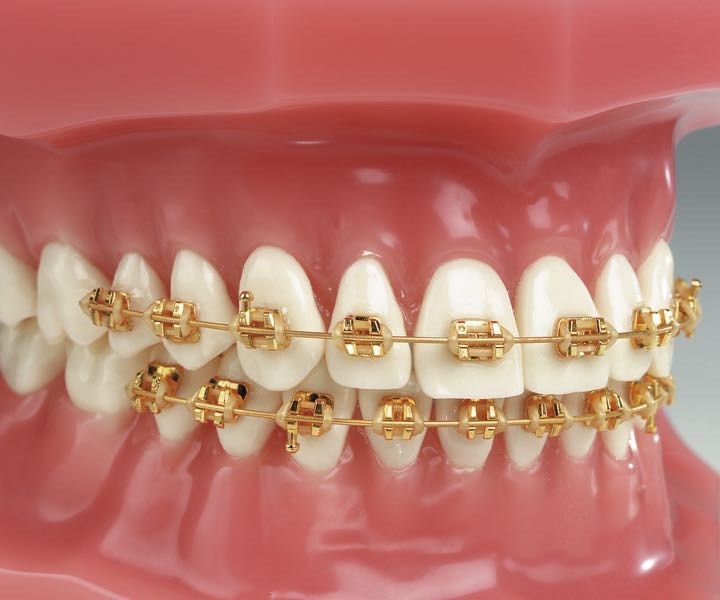 Golden braces give You more shine and are a good alternative for white and metallic braces. 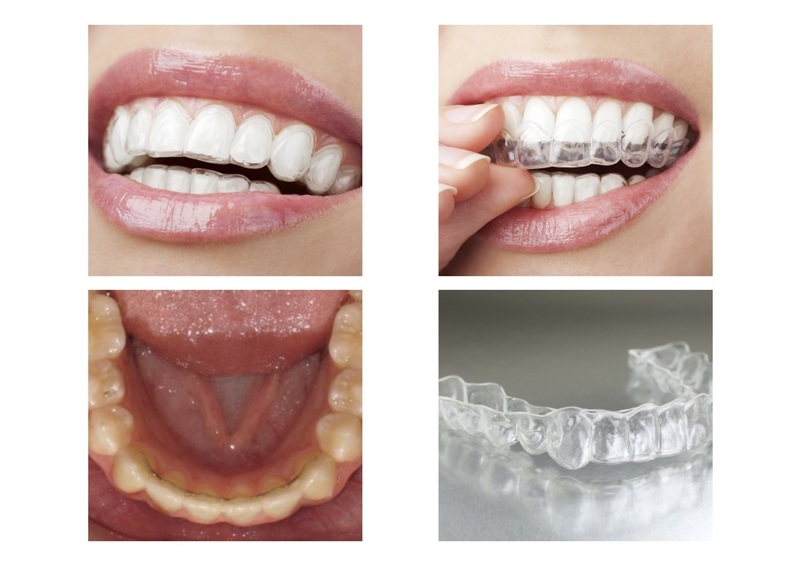 The most innovative solution in orthodontics is not straigthening the teeth by using invisible aligners. Sometimes simple and modern braces give a faster and a more beautiful result. Ceramic, metallic or golden? On the inside of teeth or outside? That depends on the patients wishes and affordances. Today took place an efficient training, offering interesting ideas and new skills. Have a nice Christmas and a happy New Year! The cleaning of teeth using an electric toothbrush starts from the so-called chewing surfaces, because after that the brush is softer and brushing the gums will not be so unpleasant and sensitive. There is and illustrative video on Youtube. 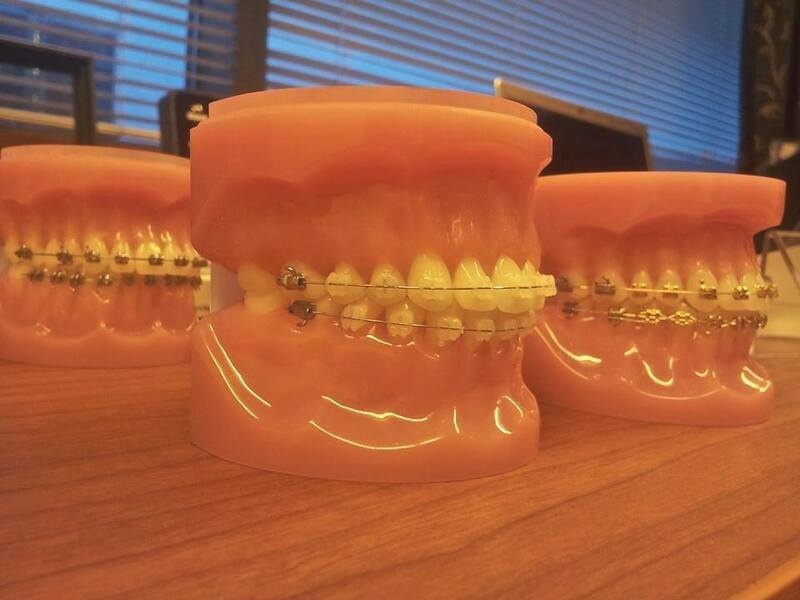 Cleaning of Incongito braces is divided into phases. 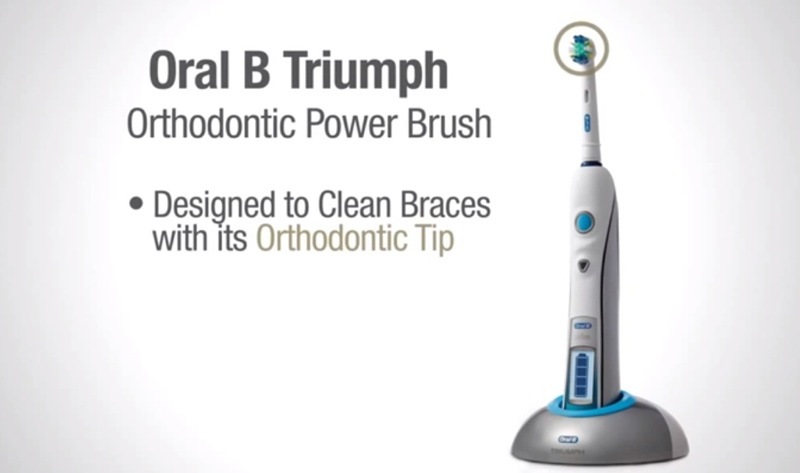 The most comfortable is to use an electric toothbrush from Oral B (Oral B Triumph, Orthodontic Power Brush) with an Orthodontic Tip. 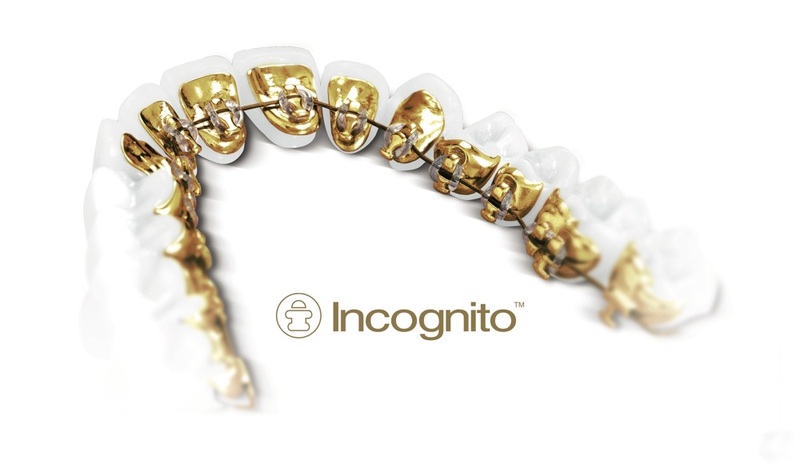 Incognito braces are prepared individually for every patient. 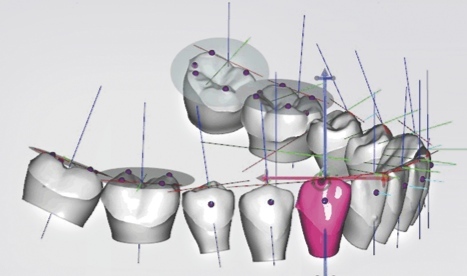 A 3D scanner is used to create three-dimensional model, which is used to align the teeth. It is also used to design the braces and preparing the archwires so that the whole braces system would be accurate, efficient and as comfortable as possible. The teeth will be shifted only to the correct way and range. The braces will be glued on the teeth with a special aligner and it takes two or three days to get used to them. After positioning the braces You have to visit the orthodontist to activate the braces and change the archwires. Orthodontic treatment with the Incognito system allows to align the teeth without visible braces. The whole construction is prepared separately for every patient. 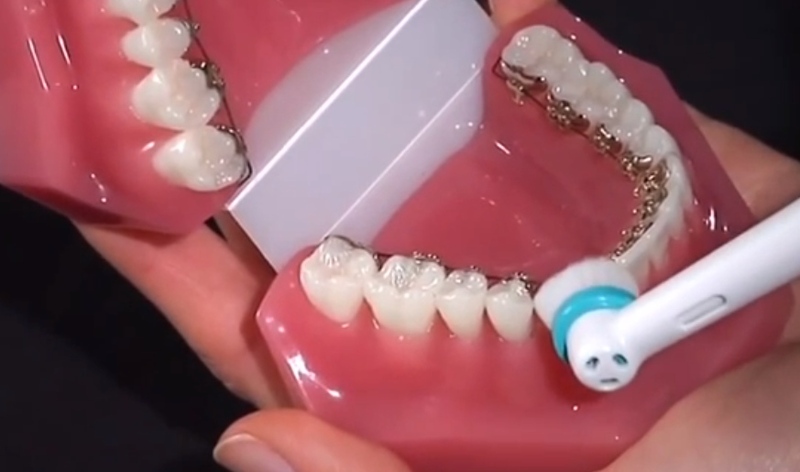 The braces will be installed on the inside of the teeth and no-one will see You have braces! It often happens that patients give up orthodontic treatment because of aesthetics, braces are thought to be too eye-catching. Incognito braces is the best choice if You value comfort, beauty and straight and healthy teeth. Professional plaque cleaning may sometimes help to regain the white tone of the teeth. The teeth may have gained dark pigmented areas, which can not be cleaned with a toothbrush and paste. Using the Air-flow equipment the surface of the teeth will be polished with a special kind of soda powder and with the pressure of air and water. 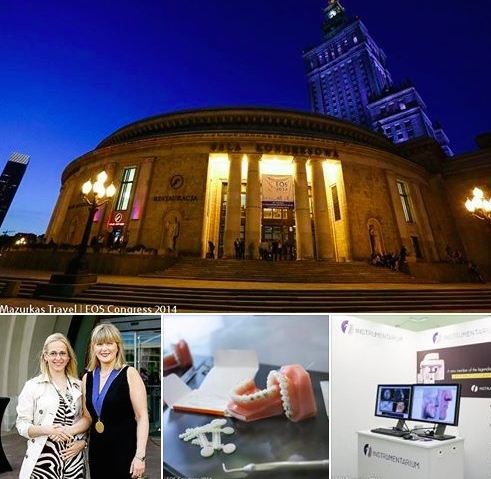 This year Warsaw hosted an Europe-wide conference for orthodontists. There were lectures and introductions to modern treatment equipment and technology - Sala Kongresowa (PKiN). We install braces daily and usually the patients are very satisfied after the procedure because it is a step closer to a prettier smile. But the joy that the patients feel after removing the braces is definitely worth sharing. — at Breketravi. Before orthodontic treatment starts it is sometimes necessary to remove teeth. Because of space deficiency the teeth are often accumulated and installing braces on them would caused the teeth to slide away from the jaw and the end result would not be pretty. The gum surrounding the teeth would also disappear and those teeth that are overly tilted have a smaller osseous support. 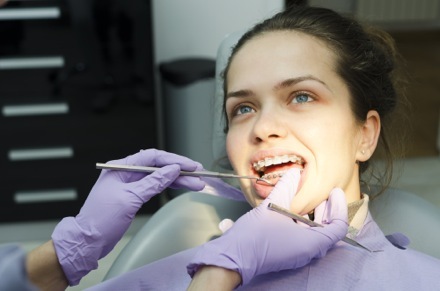 The right treatment plan is created for a beautiful end result and for achieving the right bite. Today a patient was extremely happy and thankful after removing the braces. This result was achieved in ten months! — at Breketravi. In some point You could compare teeth whitening with hair lightening. Many know that the end result may be different from the expected. Depending on the quality of the material and the skills of the specialist. Breketravi offers various teeth whitening opportunities in the cabinet and at home. In any case, it seems that Ilse DeLange (Netherlands, Eurovision 2014) has got lucky with both - the hairdresser and the dentist. Of course, the song is amazing swell. 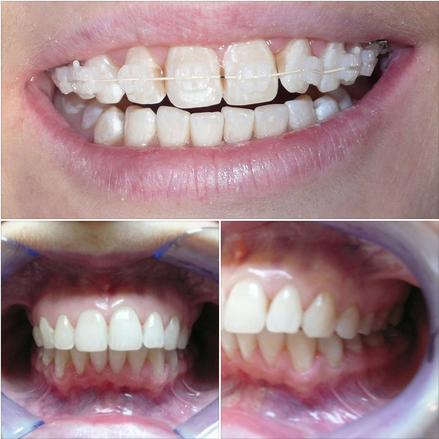 After orthodontic treatment, the teeth will slide back and to avoid that retention is needed. Retention is an invisible aligner or a wire. 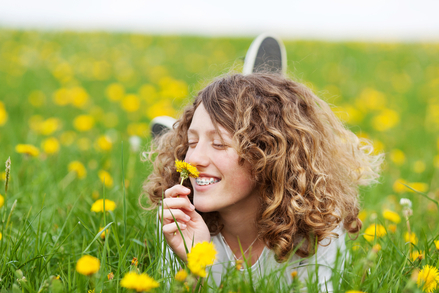 Today is a worldwide day of mouth hygiene - take care of Your teeth today, tomorrow and hereafter... also, have a beautiful first day of spring! 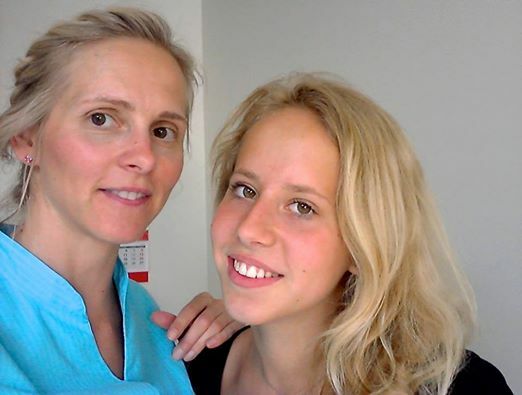 Orthodontics for adults is a growing trend in Estonia because modern braces are miniature and delicate. 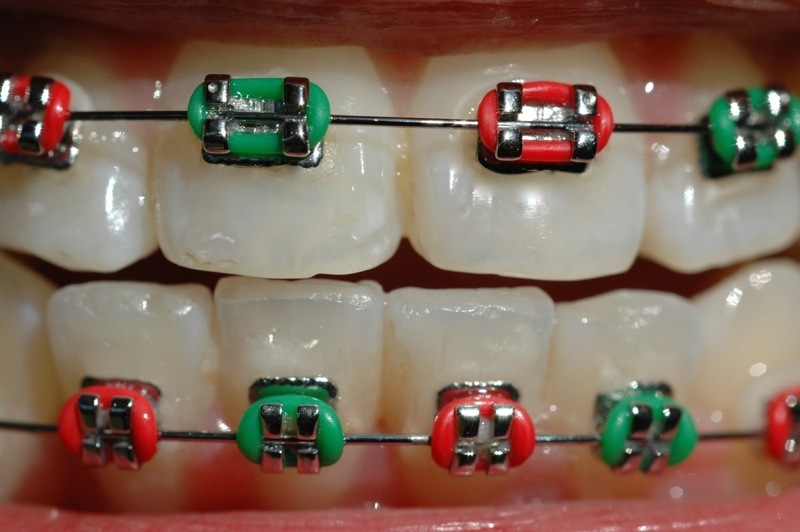 Nowadays it is possible to choose between braces of different materials and prices. We consider the patient's wishes and needs, when composing a treatment plan. The health of the teeth relies greatly on dental hygiene. Straight teeth are easier to clean and the risk of caries and other gum diseases is smaller. 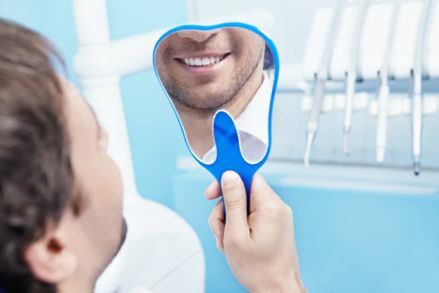 It is difficult for the dentist to offer the best treatment opportunities when bite problems have not been solved. The filling of tilted and twisted teeth will start to break and it is more difficult to prepare the prosthesis. Decent mouth hygiene is a presumption for a successful orthodontic treatment. Bacterial plaque damages the surface of the teeth and causes remineralisation, which is the cause of white spots on the teeth. These white spots are especially visible after the removal of braces. Defects caused by bad oral hygiene can only be made aesthetic by using dental fillings. Careful brushing and using toothpaste that contains fluoride helps to strengthen the enamel. In addition to regular brushing using a toothpaste in the morning and at night, mouthwash and dental floss should also be used. 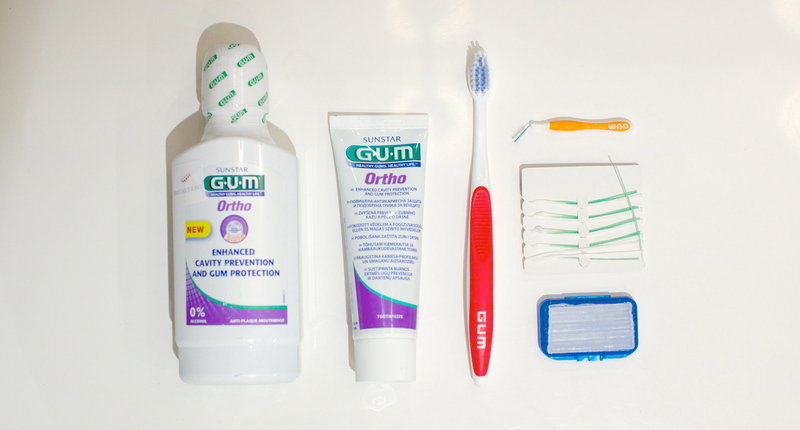 Gum Sunstar has worked out hygiene products specially for patients with braces. Orthodontic toothbrushes and interdental brushes have a specific from and size and are comfortable to use for brushing between the teeth and the arch wire. Brushing can only clean 3/4 of the surface of the teeth. Flossing can help to remove plaque not only between the teeth but from the gum pocket as well, which helps to prevent gingivitis. 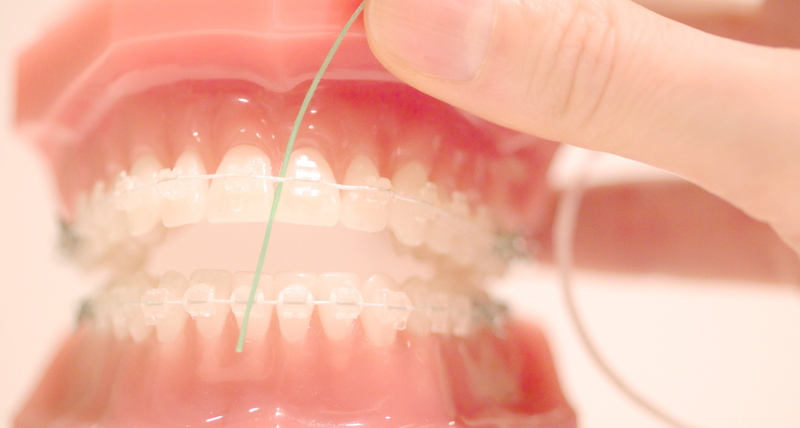 Orthodontic floss has a waxed ending and is use to use to access the arch wire of the braces. This kind of floss can also be used to clean the retention wire. From November 2nd, 2012 until November 1st, 2013 Enterprise Estonia's start-up entrepreneur program helped Breketravi to acquire basic equipment. Estonian dentists traditionally meet every year in Tartu. We got to hear presentations about tooth wearing and joint problems during the conference. 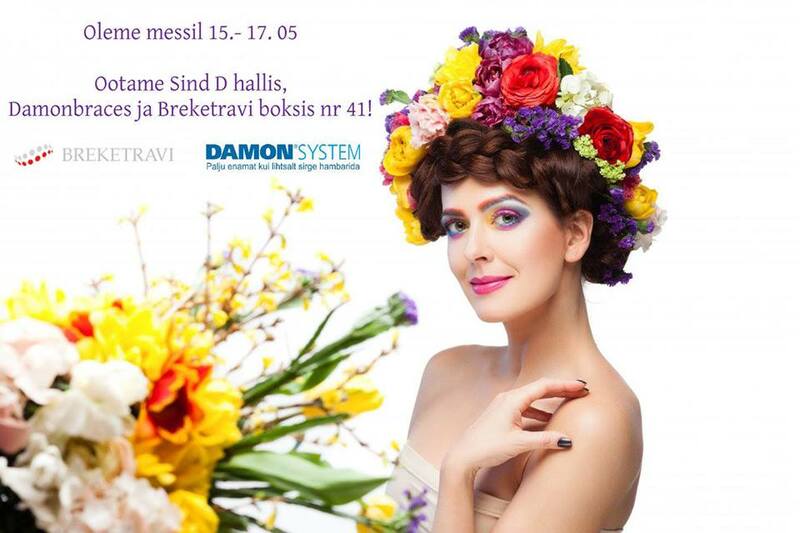 The biggest manufacturers of orthodontic equipment (Ortomax- Damon braces) were also represented at the conference. Using the Incognito system for Your orthodontic treatment makes it possible to align the teeth without visible braces. The whole construction is prepared specially for every patient. The braces will be fixed on the backside of the teeth and no-one will see that You have braces!